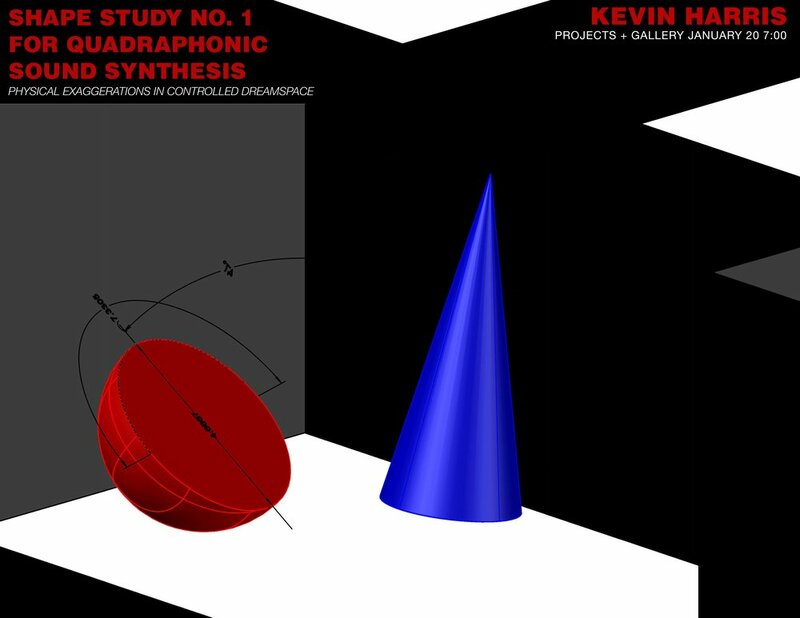 Physical exaggerations in controlled dream space is a sound presentation utilizing 4 speakers in a square room, surrounding an audience. It is my attempt at creating a synthetic physical environment, where approximations of matter can be achieved. 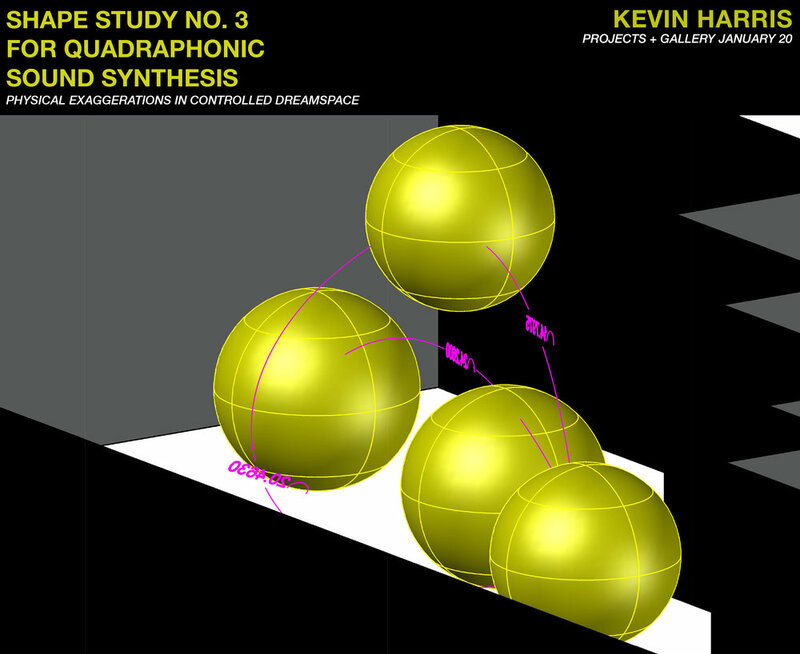 By using exaggerated notions of mass, inertia, and gravity, the piece uses sound to simulate invisible physical bodies being accelerated within a space. The conceptual origins of the piece are a series of reoccurring dreams I had as a child. In these dreams, I would stand alone surrounded in all directions by infinite black space. When I would move, I could feel soft, invisible objects moving through me. The faster I moved, the heavier these soft objects appeared. If I ran, the objects would completely encompass my body until they regulated and even controlled my movement. The technical execution utilizes a theoretical concept that selects various degrees of phase angles found in high speed oscillations and creates equivalent physical shapes to be expressed within a room of specific dimensions. 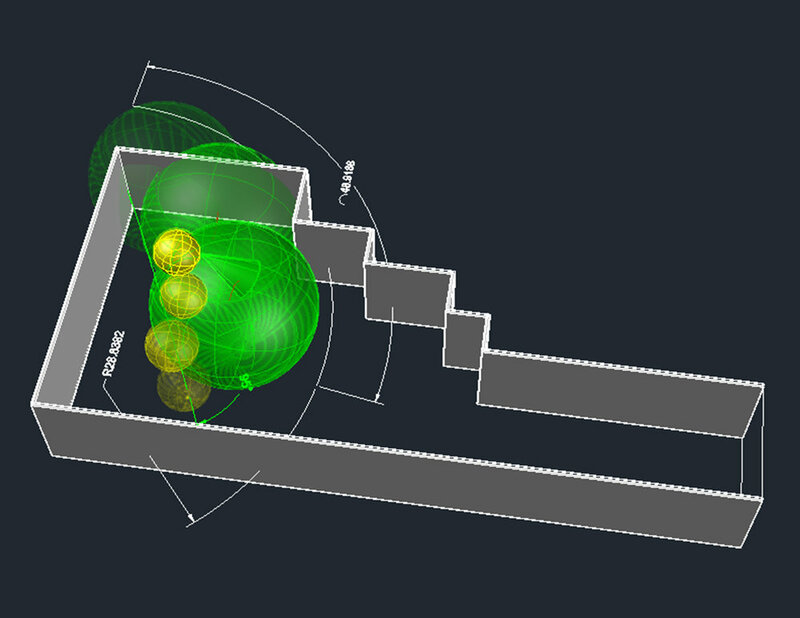 The room resonances are simulated by the mathematical process of convolution and combined with various oscillations to accomplish movement, depth, and position of the invisible objects.